Just when you thought you had the bathroom all planned out, toilet technology develops a new way to think about the commode. We took a look at some of the new toilet options available and explored several new features, some of which will no doubt become the new normal. With record drought in the western US and water concerns in other parts of the country, reducing the amount of clean water your toilet flushes away makes a great deal of sense. Since 1995 toilets are designed to limit the water used per flush to 1.3 gallons. Dual flush models have two water use options: small amounts for liquid waste and larger amounts for solid waste. Early models featuring low water flushes performed poorly and resulted in clogs. New flushing technology paired with less water use has addressed the issue of clogging. American Standard’s Champion Toilets (at right) are available in several designs including 16.5-inch “right height” PRO. This toilet mimics the height of a normal chair and is more comfortable for tall people, as well as a good choice for universal design in homes where the occupants live the sunset years. American Standard’s toilets are all certified Water Sense toilets. Toilet manufacturers are rethinking the whole experience and applying interesting new technology to the toilet world. Toto’s Washlet Series (above left) offers several options: warm cleaning spray, heated seats, deodorizer, warm air drying and motion sensing lifting toilet lid. The unit has a remote control to program all the functions. 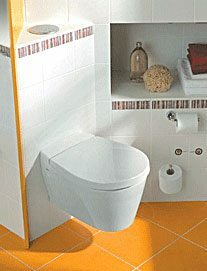 The Washlet comes available as an installed seat unit fitted to an existing toilet or with an integrated toilet unit. The appearance is a fairly traditional looking toilet. Kohler’s Numi toilet (right) adds a foot warmer, illuminated panels, Bluetooth music and an integrated home system to the advanced bidet cleaning, deodorizing, heated seat, motion sensing and advanced flushing with two options: full flush or eco flush. 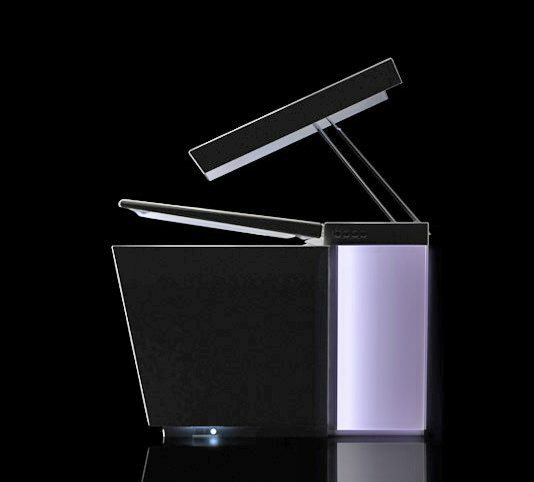 The Numi is a much more futuristic design and can be programmed to respond to different user’s preferences via a touch screen panel. 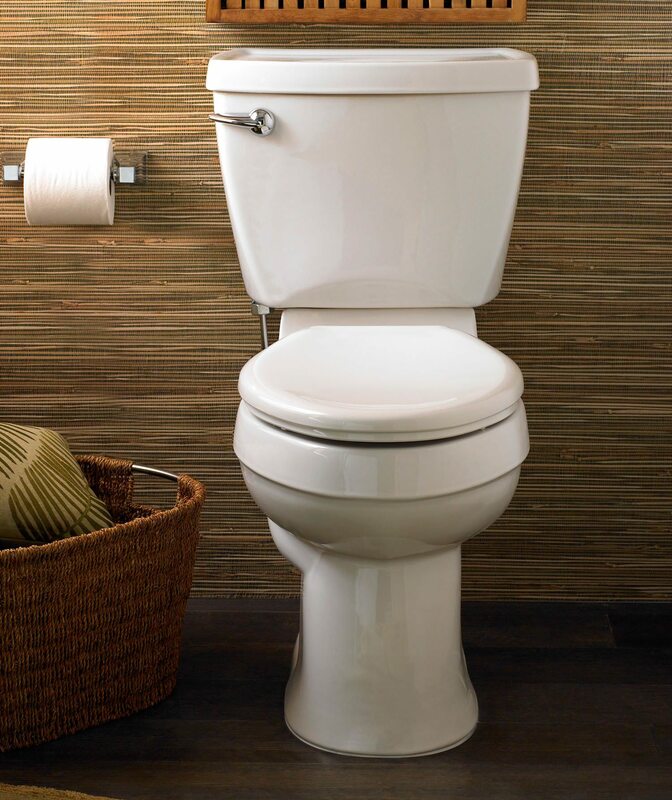 Many homeowners opt for a smaller tankless toilet for small spaces in powder rooms. Missel offers a compact 6.5 liter cistern that hides in the wall space and connects to a wall mounted tankless toilet. And for families with larger size requirements the Great John Original Toilet Seat offers a 24-inch wide seat that can accommodate the Big and Tall among us or senior who may wish for a more comfortable seat. The seat can be mounted on most traditional toilets.